posted: July 10, 2017 by: Antelope Veterinary Hospital Tags: "Clinic Specials" "News"
Now accepting Scratch Pay! 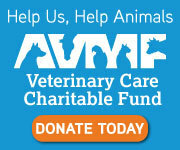 Getting help with unexpected veterinary medical expenses has never been easier. Apply directly from your smart phone at www.scratchpay.com for an emergency loan for veterinary care. Approval in as little as 2 minutes!